• Signs and banners advertise brands and companies and are used for both indoor and outdoor placement. Due to durable vinyl material manufacturing, they stand the extreme weather conditions and remain unharmed. • The ink used for signs and banners full-color printing usually last for more than 3 years. It may last longer depending on its exposure to the sun or other harmful elements. • Their size and weight vary according to usage; therefore, they are seen inside the malls, public buildings, and outside on the billboards. • They are placed using bungees, strings, screws, washers or cords and are The objects used for their application differ according to the surface. • One way window signs enable one-way vision of outside from the inside. Through these windows, only one side view is visible to the viewer. • These signs have an ink receptive coating and an adhesive back for quick and easy mounting on a glass surface. The adhesive is repositionable, removable, and is commonly used for advertisement. • The window signs offer complete privacy from the onlookers present on the other side of the glass. • They are the best alternate for shades, curtains or drapes. • These peel and stick signs are perfect for indoor and outdoor usage. • Ideal window signs for large size digital prints. 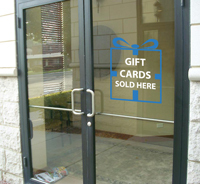 • Window clings are temporary static signs that do not leave any kind of adhesive residue on the glass surface and are available in any shape or size or can be ordered in custom sizes for perfect fit. • These peel and stick clings are placed on non-porous and clean surfaces and are best for indoor equipment. • The quality-clings can be used multiple times as they are easily placed, repositioned, and removed. • These clings are vinyl made, printable, and offer high visibility, high glass finish, and vibrant contrast. Clear clings can also be used for transparent backgrounds like glass. 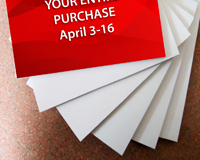 • Printed posters are one of the best ways of advertising brands, products, and services. Posters are commonly used in three different forms – standard posters, mounted posters, and framed posters. • They are an economical way of grabbing the attention of target audience. They are used for indoor and outdoor advertisements such as parties, events, tradeshows, promotions, store signs, building signs, and also as menus. • They are produced in a wide variety of shapes and sizes and are printed on glossy paper, luster-satin paper, vinyl, canvas or self-adhesive synthetic paper. • Rigid plastic signs are matte finish signs used for tradeshows, real estate, directional and architectural information. They are versatile, tough, and perfect for indoors as well as outdoors. • They are available in single and double side, in custom shapes, and last for years. • The eco-friendly and weather and abrasion-resistant signs are super durable. • They are ideal for HD full-color prints and are placed using drill holes ropes, bungees, and strings. Nuts bolts and screws can also be used for their application on different surfaces. Easel and stands hold them for interior or exterior temporary display. • Acrylic signs are made up of polymer sheet and used as lobby signs, directional signs, name badges and plates, menu boards, and architectural signs. 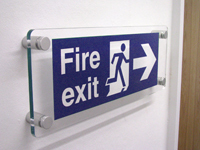 • These signs can be directly printed on the rigid substrate or attached to clear windows. They are manufactured for indoor and outdoor walls and bricks. • Top-quality signs are printed using custom designs that do not fade away with time or the glossy finish does not get destroyed due to harsh weather conditions. 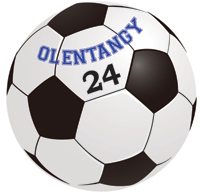 • They are designed with laser engraving or vinyl graphics. • A foam board is an economical way of displaying images manufactured from biodegradable material. The images are mounted for the long and high-visibility. • The images printed on foam board do not bow or warp as the moisture barrier during mounting prevents the images. • The board application is usually seen indoor as well as outdoor for trade shows, school projects, exhibitions, presentations, and various promotional events. • They are seen hanged at sale counters, on interior walls, in retail windows or, in most cases, from the ceiling with the help of ropes or strings. • Floor decals are placed on the floor by businesses to introduce, promote, and sell their products. Mall, supermarkets, and marts are some of the common places where floor decals are seen. • They are made colorful and bright to grab the attention of the customers. • These decals handle the foot traffic easily and are also skid-proof to avoid any kind of fall. • They are weather and fade-resistant. If proper care is provided, the decals remain in good condition for more than 5 years. 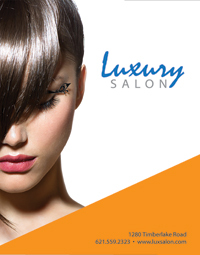 • Solvent ink printing can be done on standard and custom decals whereas they come with a laminate cover. •They are installed on smooth and clean surfaces for best results. Reposition decal instantly if installed wrongly once, the position cannot be changed. • Concrete decals are aluminum-based graphics pasted on the floors to provide quick information about products, companies, events or more. These decals are applied on cinder block walls, brick walls, roads, pedestrians, and sidewalks. • Adhesive vinyl decals are custom cut, digitally printed, and ensure photographic quality prints for various purposes. • There’s no special equipment required for their application. They are skid-proof and non-slippery decals used primarily for promotions. • They can be recycled and are easily installed and removed. PackZen has the perfect cutout for your next event! Great way to celebrate all occasions with some extra fun! Show Support for your team players, any celebration including elections, birthdays, graduations, family reunions and any other event. These cutouts can be sized to your specifications and include a wooden handle. 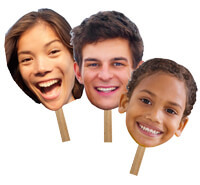 Our die cut faces are made from high-density foam core and the highest quality digital print process.